Whether they were ignored in the past and rocketed into the spotlight, or kept a steady incline into the headlines, 2017 shined a light on a variety of players who made it big -- either in a good way or bad. 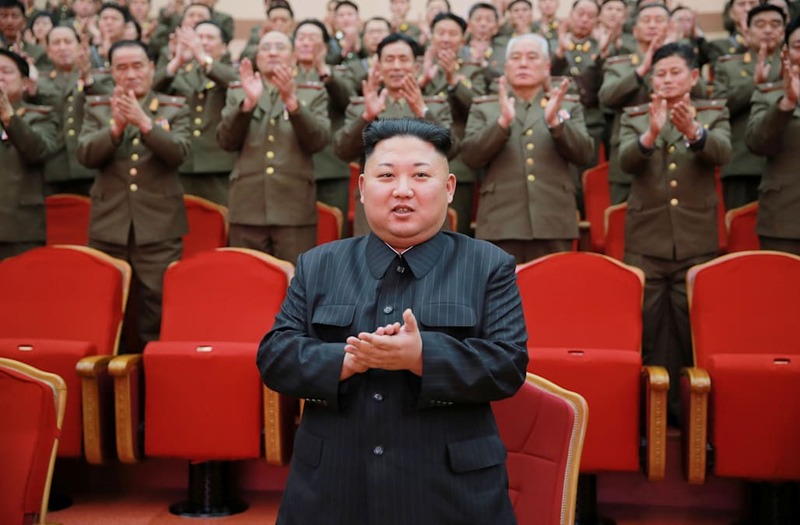 Kim Jong Un's nuclear threats took a more deadly form in 2017, thrusting him into the international spotlight and giving him more clout on the world stage than he has seen in years as he drew the ire of President Donald Trump. Victims of sexual assault rose up and spoke out after a wave of allegations surfaced against Harvey Weinstein, creating a domino effect across the industry and beyond. Melania Trump grew in popularity throughout the year even as her husband's numbers hit new lows, and the value of Bitcoin skyrocketed as the cryptocurrency started to take a mainstream hold. These are just some of the biggest winners of the year -- click through the slideshow below to who else had big breakthroughs this year. This time last year, if you had mentioned Kim Jong Un's name, no one would have flinched -- but now he's showing off nuclear missile capabilities and is considered a major threat to the United States. The isolationist nation also claimed the missile from its latest test could reach all of the U.S. mainland. President Trump and his administration have reacted strongly to Kim Jong Un's provocations with stark warnings to stop testing. In August, Trump told reporters, "North Korea best not make any more threats to the United States. They will be met with fire and fury like the world has never seen." Melania Trump's popularity with the American people has surged to new highs. Although her numbers are behind her predecessors, a poll in early December put her approval rating at 54 percent -- a whopping 17 percent increase from the beginning of the year. Meanwhile her husband's numbers only increased by one percent in the same time frame. The first lady shot down rumors throughout the year that she wasn't happy in her role new role, and has pushed forward on her anti-bullying initiatives. Actress Lupita Nyong'o was one of the many women who found a voice and spoke out about inappropriate sexual encounters with Harvey Weinstein. As more and more women spoke out against Weinstein, others came forward with allegations against high profile figures, especially in the Hollywood and political elite. The rise of #MeToo helped encourage women to share if they had experienced any sort of sexual harassment, misconduct, assault, etc. Steve Bannon rose the ranks from "chief executive" of Donald Trump's campaign in 2016, to top presidential adviser. He was even given a seat on the National Security Council's principals committee, in an unconventional move that raised eyebrows. The adviser's impact appeared through many of the president's policy initiatives during the first half of the year, including the travel ban and the decision to leave the Paris Climate Agreement. However, as the president filled more key positions, Bannon's tenure in Trump's inner circle became more and more volatile, until he resigned in August. He returned to Breitbart, the news website he ran before his role in the political realm. He continues to conduct interviews and share his populist message with the new national and international prominence he holds. This American actress burst into headlines around the world when she and Prince Harry announced their royal engagement on November 27th. The "Suits" actress has long been an advocate for women and shared a story from 1995 when she wrote a letter to Proctor and Gamble about one of its commercials. The ad said, "Women all over America are fighting greasy pots and pans." "Two boys from my class said, 'Yeah. That's where women belong — in the kitchen,'" she said, "I remember feeling shocked and angry and also just feeling so hurt. It just wasn't right, and something needed to be done." The company ended up changing its tagline to, "People all over America are fighting greasy pots and pans." With her new, very public role, she now has a much larger platform for her message of equality. Bitcoin surged 1,700 percent and gained mainstream prominence with its exponential growth this year -- so much so that the Commodity Futures Trading Commission proposed that trading it should be regulated in a similar fashion to other commodities. The blockchain-based digital currency can now be used as payment on sites like Expedia, Overstock and Xbox. While the cryptocurrency has seen its fair share of controversy, the value continues to skyrocket. Still don't really understand what Bitcoin is? Check out this explainer. Little Fiona captured our hearts and became an internet sensation when she surprised the Cincinnati Zoo by arriving six weeks early. The adorable creature required round-the-clock care until she was strong enough to take her first steps. Described as sassy and thriving, the hippopotamus found herself going viral again when she photobombed a couple's proposal at the zoo, and then once again when she blew bubbles -- from her rear end. We can only imagine what's in store for her in 2018!